Strikeforce women’s middleweight champion, Cris “Cyborg” Santos posted a tweet last Thursday, saying that she has re-signed a contract with the promotion. She last appeared on June 2010, wherein she defeated Jan Finney via technical knockout. Earlier this summer, Cyborg opted to compete in a bout at Brazil and Singapore due to extended inactivity. However, she claimed that representatives from Zuffa called her and agreed to make further negotiations to keep her fighting for Strikeforce. 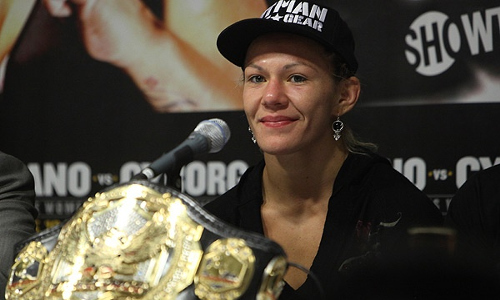 Now that Cris “Cyborg” Santos is totally back, who do you think should be her next contender?